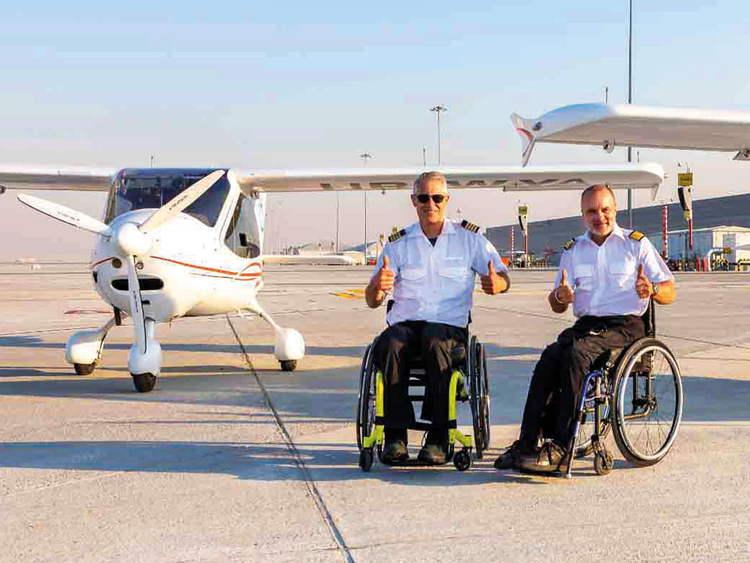 Dubai: Two paraplegic pilots on wheelchairs have created history in UAE airspace by landing in Dubai World Central as part of a global Handi-flight mission to raise awareness about disability. Speaking to Gulf News, which was given exclusive access to the airside to witness the touchdown, the pilots — Mike Lomberg and Guillaume Feral — said Dubai was their sixth stopover in a 40-country tour covering 80,000 kilometres to raise funds for Humanity & Inclusion, an international NGO that is out to combat prejudice and exclusion. 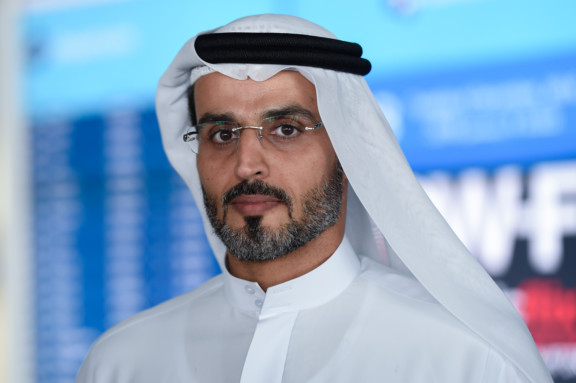 The pilots, who manned two separate aeroplanes, were followed by a two-member back-up team in a third plane when they arrived from Al Ahsa in Saudi Arabia at 3.55pm on Tuesday. 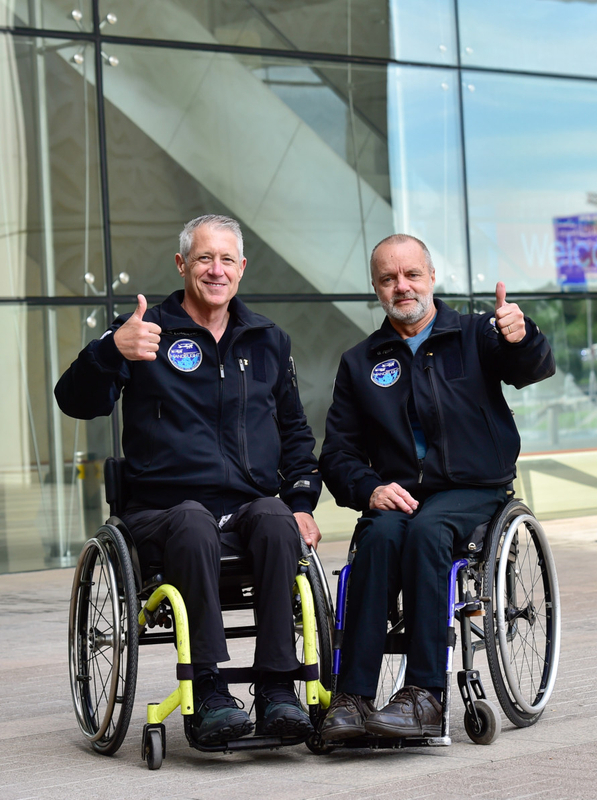 “There’s nothing special about flying with disability,” said a matter-of-fact Feral, who lost the use of his lower limbs following a spinal cord injury he suffered during a plane crash in 1985. The pilots are being hosted by Lions International in Dubai.